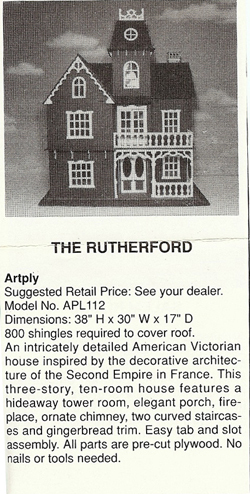 The Rutherford is an Artply dollhouse kit that I built in the late 1980s. I no longer own this house. 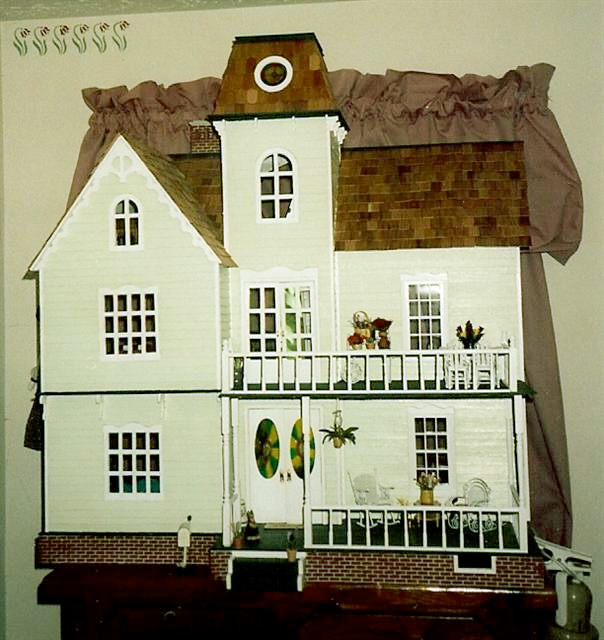 I gave it as a gift to a dear departed friend's grandchildren. 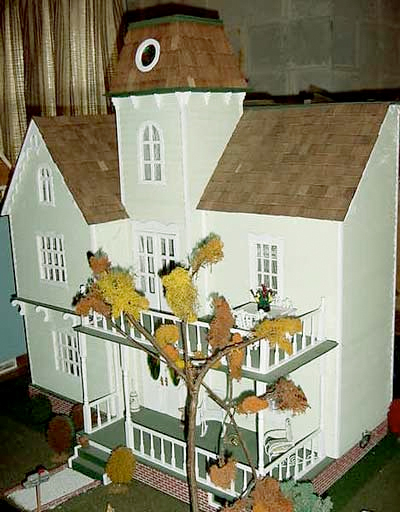 My friend had constructed this exact house for her daughter, but unfortunately use hot glue to assemble it. The "glass" in thedoors on this house and the tower window were painted to resemble stained glass. 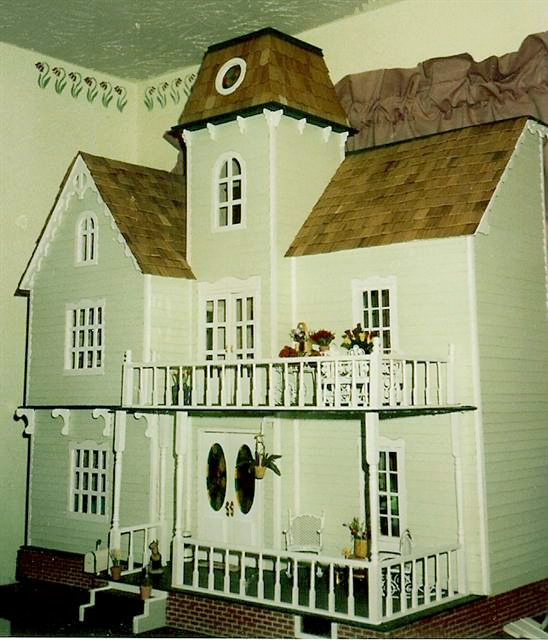 The porch,which was very narrow, but I extended it to provide room for furniture.